The Slumber Sleep ‘ Luxury Pocket 1000’. This Pocket memory is manufactured to the highest of standards using high quality, foam-encapsulated pocket springs. Its high quality components give extra levels of support maximising the use of all the individually-pocketed medium-gage springs which work independently. 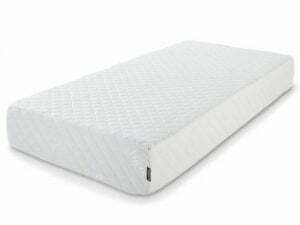 It provides real durability, comfort and extra support for the neck and back with a combination of 3 inches of memory foam and 7 inches of a premium 1000 count pocket spring unit. The mattress is finished in a soft removable quilted cover which is washable and therefore extends the life of your mattress. o Back & Neck Pain – Correct spinal alignment has many benefits. o Arthritis – Less stress on joints can reduce pressure and help ease arthritic pain. 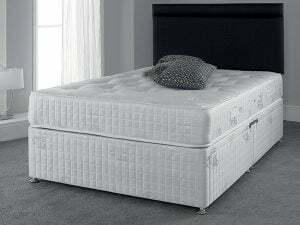 circulate efficiently throughout the body preventing bed sores, swollen calves and feet. o Allergies – Our Cooling Foam is dust-mite resistant and anti-microbial, ideal for asthma sufferers. o Anti-dust mite and hypo-allergenic. o Suitable for all types of base. o Warranty: Provided with a 1-year manufacturer’s guarantee.